It is not uncommon to go to the doctor with a backache only to leave with a diagnosis of lower back pain or upper back pain. We are frequently told it is likely due to strain, sprain, or arthritis. The diagnosis may be based upon a physical exam or an x-ray. Like a rusty door hinge the bones in the spine may become rough and irregular. In addition the discs (jelly-like donuts that act like cushions between the bones) can lose their fullness. 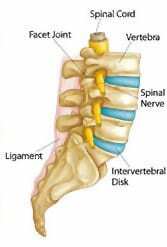 Doctors refer to this as degenerative disc disease (arthritis for short). The result is that the space between the bones decreases. This lack of space can lead to more arthritis of the bones themselves. In more prolonged or severe cases, advanced imaging studies such as CT or MRI may be obtained. These studies commonly reveal degeneration (drying up of jelly), bulging (too much jelly) or even herniation (jelly outside) of the spinal discs. While attributing the pain to these radiographic findings is an easy answer, it is often not the full story. By the age of 35, virtually everyone has some degenerative changes in their spine. Further, in several studies of people who underwent MRIs, over 35% were told they had a problem with the disc in their spine even though they had no complaints of pain. So if many people have radiographic evidence of arthritis or disc disease and experience no pain, how can we be certain that the presence of arthritis is the source of the pain in someone who is symptomatic? The plain truth is that we can’t. One of the best ways to treat the arthritic portion of pain is to give medications such as non-steroidal anti-inflammatory (NSAID) drugs, and see if relief follows. These medicines treat many forms of inflammation. If they offer relief and the patient is satisfied with taking medicine, then nothing more may be required. While NSAIDS provide at least a short term answer for many, they have side effects and actually do nothing to fix the problem. 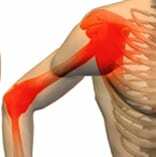 As a result, it can be helpful to look at causes other than inflammation when treating arthritic pain. This is especially true when NSAIDS do not work at all. 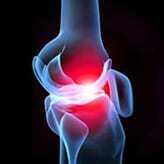 One option is to think of painful arthritis as a door hinge that binds, its rough edges trapping associated tissue. In this case, whenever someone moves too much or too little pain can occur from direct grinding of the bones upon themselves, rather than due to inflammation. Other pain-causing mechanical problems may occur as well. For example, if either the doorstop or bumper (the disc) is dried out, it will not cushion the hinge well. With movement abnormal function can occur. If the hinge is not lined up right (as with facet syndrome), or if the pin that holds the hinge together is weak (such as when ligaments are stretched and do not hold bone to bone properly), aches and pains can result. By treating all of the structures that surround or affect disk disease, both pain relief and prevention of further deterioration can result. One simple technique is to improve range of motion by stretching muscles that are tight or inhibited, or by strengthening both muscles and ligaments that surround the disc (see Prolotherapy). If a nerve is irritated, then the muscles that are supplied by it will go into spasm. If these muscles are involved in your pain, then stretching will only provide short-term relief (the nerve must be treated first). If there is vascular disease or infection, then medications that improve blood flow or remove infection can provide dramatic relief. When mechanical problems exist, correcting them through mobilization, orthotics or even postural exercise can also be extremely useful. 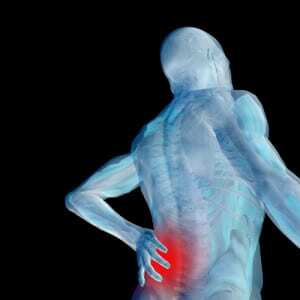 While it can become quite a task to determine which approach to take, or in what order to apply them, with an experienced, skilled physician these and other options for arthritic back pain may be just what is needed. Our clinic services back pain patients in the Greenville, Spartanburg, Anderson, and surrounding areas.